Use this complete online Kent Test practice papers guide to help you and your child prepare for the Kent Grammar School Entry Test. This resource includes free practice questions and answers. 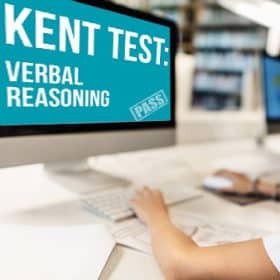 You can download a free Kent Test Practice Paper at the bottom of this page. This ultimate FREE resource will guide you through the entire process of applying to a grammar secondary school, specifically focusing on Kent grammar schools. This resource will answer some of the most common questions concerning the 11+ Test, in the hope to make the transition from primary to grammar school much, much easier. Don’t forget to download your Free Kent Test Practice Papers at the end of this resource. What is the Kent 11 Plus? If your child wishes to apply to a grammar school situated in Kent, then they will be required to sit the Kent grammar school entry test. The 11+ assessment which is taken by some pupils in their last year of primary school (Year 6 in England and Year 7 in Northern Ireland) to gain a placement in a grammar school. 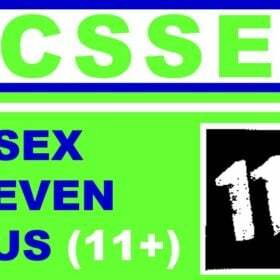 The 11 plus assessment is the assessment used for children who wish to attend a grammar school in Kent. 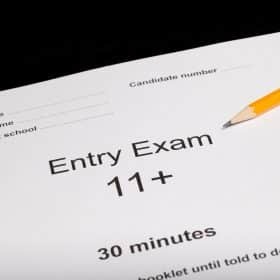 As the name suggests, the Kent Grammar School Entry Test is ONLY used for schools situated in Kent; schools in other areas such as Medway and Surrey will use a different form of 11+ assessment. How is the Kent 11+ assessed? The Kent 11 plus is an examination used to filter through students who show the skills and qualities required for a grammar school placement. 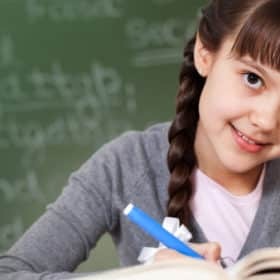 By using an entry exam, this allows grammar schools to implement a thorough selection process, and decipher which students meet the standard requirements of a grammar school pupil. Utilise the skills and knowledge gained in primary school and demonstrate this knowledge in pressurised situations. The tests are all multiple-choice and will assess different skills and qualities for each area of the assessment. 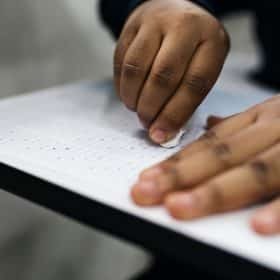 Assess how well a pupil is able to recognise patterns in data. Assess the relationship between words,letters and sentence. Assess the relationship between shapes and objects. How long is the Kent Grammar School Test? The first examination for the Kent Grammar School Entry test will be an English and Maths paper. Each section will last for approximately 25 minutes. The second part of the examination will be a Reasoning paper, comprising a Verbal and Non-Verbal Reasoning section. 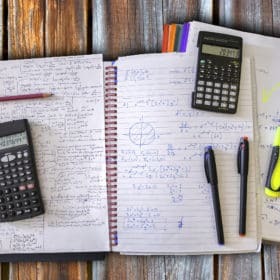 Depending on how long it takes to complete the practice questions, the remaining time will be split between the Verbal and Non-Verbal Reasoning section. A written exercise will also be required. However, this test is NOT marked and will only be considered in borderline cases. The remaining 30 minutes should be used writing and proofreading your work. Where does my child take the Kent Selection Test? If your child wishes to apply to a grammar school situated in Kent, then they will be required to sit the Kent 11 plus. The 11+ assessment which is taken by some pupils in their last year of primary school (Year 6 in England and Year 7 in Northern Ireland) to gain a placement in a grammar school. The 11+ assessment is the assessment used for children who wish to attend a grammar school in Kent. As the name suggests, the Kent Grammar School Test is ONLY used for schools situated in Kent; schools in other areas such as Medway and Surrey will use a different form of 11+ assessment. What schools can my child get into? If your child passes the Kent 11+ exam, any Kent grammar school will consider your child’s application. However, we cannot stress this enough – just because your child passes the test, does not automatically guarantee them a place at the grammar school of their choice. Does any of their siblings attend the same grammar school? For a list of Kent grammar schools, please visit the government website. 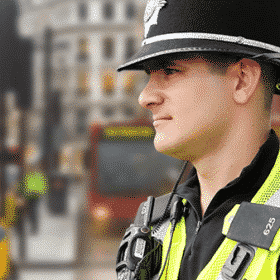 How do I register for the Kent 11 Plus? One of the most important things you should remember regarding the Kent 11 Plus is the KEY DATES. *Please note, these test dates are based on applications for 2020 entry. Generally, for each year, these dates will be around the same time. Is the Kent Grammar School Entry Exam difficult? Has your child prepared for each assessment of the test? Have you ensured that your child is feeling confident about the exam? Do you know what to expect before, during and after the Kent Selection Test? As with any exam, there is a great deal of pressure to do well. The 11+ assessment is designed to assess whether children should be awarded a grammar school placement, in order to continue their education. The 11 plus exam is specifically designed for Kent grammar schools in hope to find intellectual, creative, gifted children. The assessment has undergone some vigorous changes in the last few years, and is now harder than ever. This is to ensure that grammar schools maintain the best levels in terms of prospects and academic achievements. The pass mark of the Kent Grammar School Test is a standardised marking, which means it changes based on everyone’s scores collectively. For more information on the pass mark and standardised marking, please read the section on ‘Understanding Results’. How is the standardised score measured? The process of standardisation basically refers to a collective set of results, and determining the overall average. In simpler terms, your child’s scores will be assessed in relation to the average score that was achieved in the Kent 11+ Test. In order to make this process fair, minor adjustments are made in order to cater all ages. For example, the youngest person who sits the 11+ are not put at a disadvantage compared to other pupils undergoing the Kent 11 plus. To pass the Kent 11+ exam, pupils will be required to achieve a total score of 320+. Across each score (for English, Maths and Reasoning), pupils need to score no lower than 106 in each assessment. For pupils who didn’t quite achieve the full marks needed, the written exercise can be viewed by the examining panel to assess borderline cases. If pupils do not achieve the set requirements, parents are able to APPEAL their scores, and more information on this can be found in the section entitled: ‘Appealing the 11+ Test’. There are a lot of cases whereby pupils are only a few marks off from achieving the requirements needed for a grammar school placement. If parents have viable reasons, they may be able to appeal. The child has not passes the assessment, but the grammar school has spaces available. If you are unhappy with the schools that have been offered to your child, you do have the right to appeal against this. You will be able to appeal for any of the schools you listed on your application. Although you want to appeal, it is best to accept the place your child has been offered already. This won’t go against you in the appeal, but will guarantee your child has a secondary school placement, in case the appeal doesn’t go in your favour. For details on the process of appealing your child’s school, visit the government website. Below we have provided some brief data which highlights some of the key information regarding the entry exam. *Please note, these numbers have been provided as approximations to the nearest hundred. As mentioned earlier, there are four parts to the grammar school entry assessment. Q1. Which of the following sentences has a mistake in its punctuation? A – Its not a difficult task. B – “What do you want for dinner?” asked Jane. C – If it rains tomorrow, I will not be happy. D – She was a tall, beautiful girl. E – My friends Ava, Sophie and Rebecca are staying the night. Q2. If the following words were arranged in alphabetical order, which word would come last? Q3. Complete the following sentence. The boy waited __________ for his mother to arrive. Q4. What is one quarter of 6 hours? Q5. Fifty seven thousand, seven hundred and thirty six people attended a concert. What is this number rounded to the nearest thousand? Q6. Look carefully for the pattern, and then choose which pair of numbers comes next. Q7. In the line below, the word outside of the brackets will only go with three of the words inside the brackets to make longer words. Which ONE word will it NOT go with? Q8. Choose one letter that can be moved from the word on the left to the word on the right, making two new words. Q9. Which of the following is the odd one out? Q10. Which two shapes are identical to one another? Below we have provided some brief data which highlights some of the key information regarding the Kent 11+. Use the form above to instantly download a mock test paper for your child! The below revision videos have been made to help your child revise each of the subjects areas the Kent 11 Plus exam assesses; Maths, English, Verbal Reasoning and Non-Verbal Reasoning/Spatial Reasoning.